In this follow-up to the pick-a-flagship shootout from the weekend we take a close look at the HTC U11 - the prominent absentee in that three-way contest. 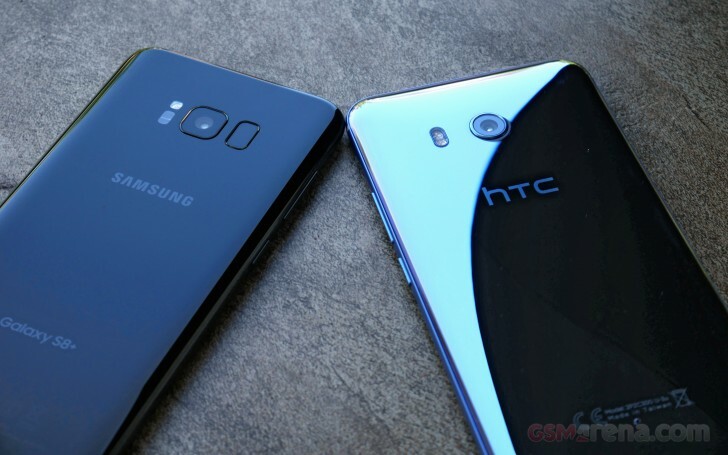 And since we couldn't gather them all on the same continent at the same time, it will be just the HTC U11 vs. the Samsung Galaxy S8, represented in this case by its plus-sized version. We'll be keeping it brief, though - just the image quality. You'll need to wait a little for the in-depth review of the U11 for the other stuff. It's not without sound reasoning, this particular comparison - looking at the numbers, the HTC U11's camera has a lot in common with the one Samsung fits in its top models. A 12MP sensor with 1.4µm pixels and f/1.7 aperture lens with optical stabilization used to very precisely identify the Galaxy S7 and S8's primary shooters, but no more - the U11's specsheet reads the same. HTC calls its focusing tech UltraSpeed Autofocus and by the looks of it that's also shared with the Galaxies, where Samsung goes with the Dual Pixel moniker. Basically, there's a phase detection agent at every pixel, instead of a small number of those scattered around the frame - the result is you get super fast and accurate autofocus on the U11. We have the key specs of the two phones summarized in the following table for quick reference, but you can always head over to the full-fledged comparison page for more details. Yes, the HTC U11 has an extra LED for its flash - Samsung's been keeping it simple in this area with just the one LED, but other than that these handsets are about as evenly matched in the imaging department as they come. Okay, maybe not the front-facing camera, where the U11's selfie snapper offers twice the number of pixels of the S8+ (16MP vs. 8MP), albeit with a smaller aperture (f/2.0 vs. f/1.7). Anyway, join us on the next page for a healthy dose of head-to-head pixel-peeping - our favorite. The phone used in both the 4K stabilisation videos is the same. In both videos it is the Samsung. You can see the phone and the guy when he walks past the mirror.